The last book left us on such a big cliffhanger that we were still falling as we started reading this book. I started frantically going through the book, desperate to know what happened to Pim and Elder. When I find out, I almost dropped the book out of my hand because it was not at all who I was expecting. We see a familiar face in this book and I couldn’t hide my excitement seeing this person again. Elder is not about to let anyone stop him from being with Pim. But this story brings him to a whole new level of dedication. He’s had to learn to give up things that have meant everything to him in order to save Pim and give her the life that she deserves. I have loved Elder since the first book, even when he was definitely the bad guy with Pim. I loved reading the many, many layers of his life and as we get to know more about him and how he came to be the man that he is. Pim really becomes in her own in this story and I really love where she ends up. There were times (especially in the last two books) where I would have a hard time getting behind the character of Pim and her relationship with Elder, but this book completely turned my opinion around. Pepper Winters is not only able to get me to love the character of Pim but make her become a phoenix in my eyes, rising from the ashes of the stuff that she has to live through in that first book. 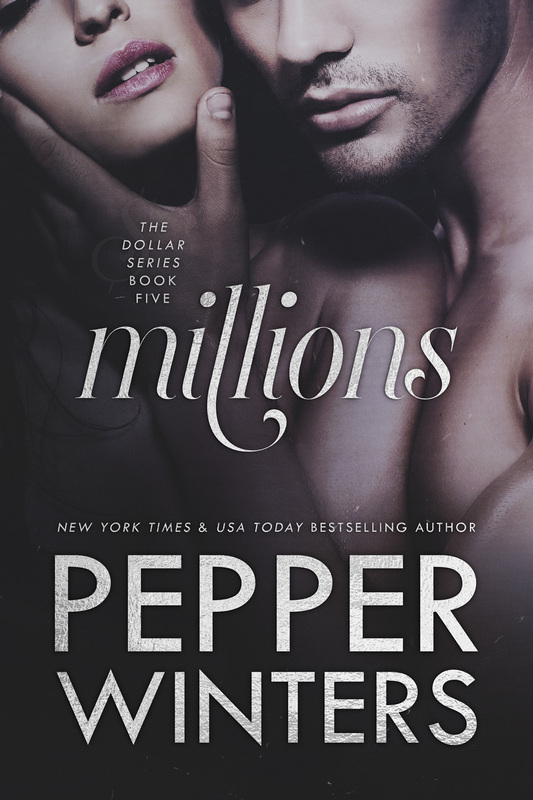 Pepper Winters really knows how to write a dark romance novel and is not afraid to not just dip her toe in the ugliness of the world, but jump right in. She shows that love can be found even in the darkest of places and that sometimes you have to sacrifice who you are now in order to find that kind of love. This entry was posted in Books and tagged Dollar series, Millions, Pepper Winters, Social Butterfly PR.